Americans love technology, and we expect companies to deliver delightful digital experiences. Insurers aren’t doing that — yet. So far, updates have been skin-deep. “If you go to a carrier’s website, the look and feel is pretty good, but the functionality is lacking,” says Tom Super, director of J.D. Power’s property and casualty insurance practice, who conducted the company’s 2018 Insurance Digital Experience Study. People expect an experience that works like when they’re at Amazon, Netflix and Uber, Super says. Though most auto insurers have a long way to go, major companies and new players have rolled out technology-based features to win over new customers and meet drivers’ demands. Here’s a look at what insurers are doing today — and what they might try next. Many major insurers now offer telematics, technology that collects information about your driving behavior, in exchange for discounts or rewards. Progressive was first, having launched its telematics-based program “Snapshot” in 2011. Customers who plug a device into their cars’ diagnostic ports to allow the company to monitor their driving can earn discounts. The technology — which tracks data like acceleration, hard braking, time of day and how much you drive — is also available in an app. Other insurers that track driving behavior reward safe drivers with cash back, freebies or a combination of rewards and policy discounts. Often, drivers get a discount simply for opting in. While many companies say that driving behavior is monitored solely to determine discounts, Progressive might increase rates if your data show unsafe behavior. Auto insurers’ use of demographic factors, such as age, gender and marital status, when setting rates isn’t exactly popular with drivers. 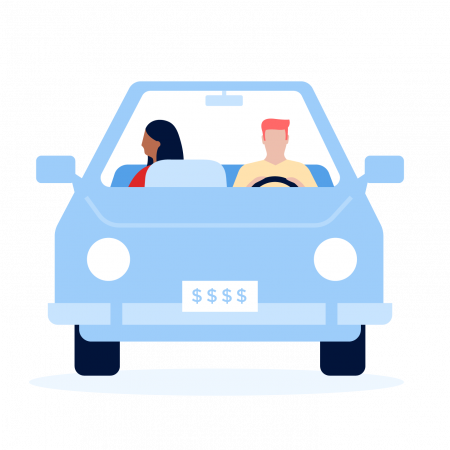 A start-up, Root Insurance, is trying a new model: Pricing based on how you drive, which could save money for safe drivers. The insurance, currently available in 19 states with plans for five more, tracks driving behavior during a two- to six-week “test drive” before giving you a quote. The company still considers some demographic factors, but it isn’t as interested in your personal details, says CEO and co-founder Alex Timm. “There’s not really a ‘great driver’ demographic — we find them across the country, in all sorts of situations,” Timm says. Other companies are pricing coverage based on how much you drive. In select states, MetroMile, Allstate and Esurance, for example, offer policies where drivers pay a base rate, plus a per-mile rate. Beyond offering discounts to customers who opt into monitoring programs, insurers want to make you a better, safer driver. Depending on the program, drivers may get immediate feedback through in-app driving reports and scores, or even from devices that beep when drivers brake hard or turn too sharply. Insurers are also targeting distracted driving, which was reported in 9% of fatal crashes in 2016, according to the latest data from the National Highway Traffic Safety Administration. Because crashes often result in claims, insurers hope to see a decrease by monitoring cell phone use, a common driving distraction. In addition to tracking how you drive, apps from Root and AAA can tell if you’re using your phone while you drive, which will have an impact on your rate. Arity, a subsidiary of Allstate, is working to bring this capability to existing monitoring programs at Allstate and Esurance. Voice assistants, like Amazon’s Alexa, are increasingly popular, and insurance companies are taking note. Customers at Liberty Mutual, the first auto insurer to develop a voice-activated resource for Alexa, can get a car insurance estimate or ask general insurance questions while doing household chores, for example. Allstate has a different approach with Alexa — it focuses on existing customers’ claim and policy questions, including due dates for bills and finding agents. Alexa explains insurance for Nationwide and Safeco customers, and Progressive customers will find help via Google Assistant. Esurance was first to introduce damage claims via video appraisals, allowing customers to more quickly get an estimate. Through the insurer’s mobile app, drivers can start claims, make an appointment, document damage and speak to their appraiser. And newer technology, already tested in the United Kingdom, is making its way to the U.S.: dashboard cameras that record the road as you drive. Dashcams can speed up the claims process by 50% after a crash, cutting down on paperwork and providing an “independent witness,” says Richard Browning, director of Nextbase, the company that created it. But the bigger draw for drivers may be the discount involved. In the U.K., drivers receive up to 30% off their policies for using the Nextbase cameras, Browning says. The company is in talks with U.S. companies to bring the technology stateside.